A hatchback car provides the perfect balance between size, utility and a nimble driving feel. When looking for the most enjoyable drive in a hatch today, the 2018 Volkswagen Golf is tough to beat. That's why it's been one of the best-selling cars of all time since it was first released in 1974. Today, the Golf combines modern conveniences and safety tech with the timeless Volkswagen passion for engineering excellence. When compared against a newer, bulkier hatch like the 2018 Subaru Impreza 5-door, the 2018 VW Golf gives you superior performance and features. Read on to find out just how the Golf gives you more than the Impreza, then discover the savings you can get on a brand-new Golf, and many other tempting VW models, on our new car specials page! 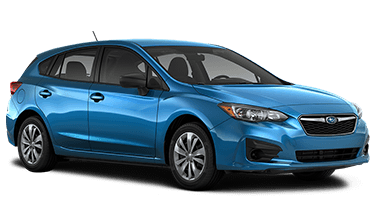 The 2018 Subaru Impreza 5-door is noticeably larger than the 2018 Volkswagen Golf. Depending on your taste, this may or may not be a good thing. But for spirited city driving, the shorter wheelbase and wider track compared to the Impreza gives the 2018 VW Golf a hunched, aggressive stance and plenty of stability. Step inside the Golf and you'll be greeted by its driver-centric dashboard design, as well as the standard leather-appointed steering wheel and shifter knob. You'll have to pay for a pricey trim level upgrade to get the same in a 2018 Subaru Impreza 5-door. It's here that the 2018 Volkswagen Golf truly outshines the 2018 Subaru Impreza 5-door. With up to 199 lbs/ft of torque and more horsepower than the Impreza, the Golf gives you much more acceleration and power. With the available Tiptronic® automatic transmission, you can sit back and let the car do all the work changing gears, or switch to Sport mode and select your gears manually. There's no driving mode selection in the 2018 Subaru Impreza. And, while you won't want to, when it's time to come to a stop, handsome LED tail lights come standard on the Golf so traffic behind you will be sure to stop — and stare. Not only does the 2018 Volkswagen Golf keep you safe, the best warranty in America keeps your investment safe. Your powertrain will be covered for an extra year compared to the industry standard, with everything else on your Golf covered for three more years than Subaru will cover their Impreza. What's more, you get all the modern safety systems you expect from the 2018 Volkswagen Golf, plus one you can't get on any 2018 Subaru Impreza: Park Assist technology can automatically measure parallel or perpendicular parking spots, determine if the space is large enough to fit your Golf, and then steer itself into the space. All you've got to do is operate the gas, brake and shift into reverse as necessary — the Golf takes care of the rest. For more than 70 years, Volkswagen has earned its strong reputation for precision engineering and funky, reliable vehicles. From the timeless Beetle to the fun-to-drive Golf to the spacious, capable Atlas, today's Volkswagen models have character, style and safety — all backed up by decades of German excellence in automotive engineering. 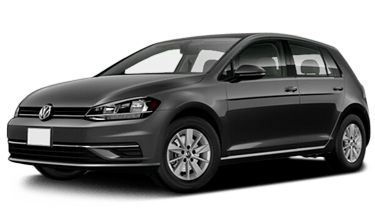 And with performance upgrades like the R-Line package available on most new VW vehicles, 4MOTION all-wheel drive and DSG Tiptronic® transmissions, you can get a Volkswagen that's sporty, nimble and thrilling when you step on the gas. There's no better place to test drive a brand-new Volkswagen than Carter VW in Ballard, serving Bellevue and Renton. Stop in today and experience The Carter Advantage while getting to know the most advanced line of vehicles available today from Volkswagen.